Prescription benefits are part of the Medical Plan; therefore, employees and their family members who are covered by a Medical Insurance Program are eligible for this benefit. 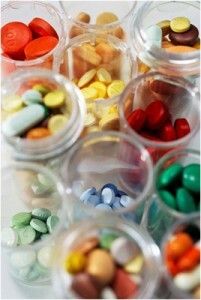 Prescription coverage is effective as of the date medical coverage is effective. 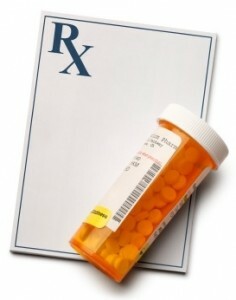 Prescriptions are available through a participating Pharmacy or through Home Delivery service. This table compares retail and mail order costs for prescriptions through Express Scripts. If you obtain a brand-name drug when a generic equivalent is available, you are responsible for the generic co-payment plus the cost difference between the brand-name drug and the generic drug. Reminder: the pharmacy benefit has a $50 deductible for single coverage and a $100 family deductible for all non-generic prescriptions. The deductible must be met in its entirety before the pharmacy plan will revert to the co-pay/co-insurance payment structure. All deductible, copay and co-insurance amounts will be counted toward the medical out of pocket maximum. Participants who fill maintenance medications at the local pharmacy (30 day supply) will be charged the 90 day home delivery rate for refills as of the 3rd refill at the local pharmacy. To avoid being charged the higher rate, participants should change their maintenance medication to home delivery before the 3rd refill. Medicare requires all employers that offer prescription plan coverage to send all participants an annual notice to inform them if the prescription plan is creditable. Creditable means that the employer sponsored plan is at least as good as the coverage offered through Medicare Part D.
Notice of Creditable Coverage from the state of New Mexico – This document may be printed and provided to the U.S. Social Security Administration at the time you request to enroll in a Medicare Part D plan. Questions regarding the notice should be directed to Erisa Administrative Services, Inc. on behalf of the State of New Mexico at 855-618-1800.